Villas sleep 14 with private pool in Italy. Need help in choosing the right property for your large group? We can tailor-make a solution for you – please send us your requirements here. Villa La Cittadella, in the village of Cevoli, Tuscany. In the countryside between Pisa and Florence. 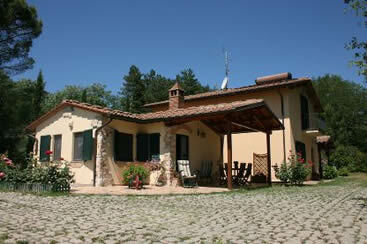 BORGO DELL ERA: Farmhouse just a few km from Volterra. Private pool. Table tennis. Boules. Table football. Wi-Fi access, large green space. Sleeps 14 in 5 bedrooms, 5 bathrooms. Rental prices from Euro 1592 per week. VILLA SCATOLAIA Panoramic villa for 14 persons in the Casentino valley, Tuscany. 5 bedrooms. Fenced private pool. Satellite TV . Free wifi. Table tennis. Children’s playground. The charming village of Stia is about 3 km away. 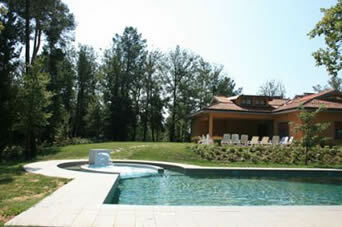 Villa Sorgente, offers privacy and relaxation in a forest setting. Near Sarteano (10km), Tuscany. 7 bedrooms. Sleeps 14. Private pool. Private garden. 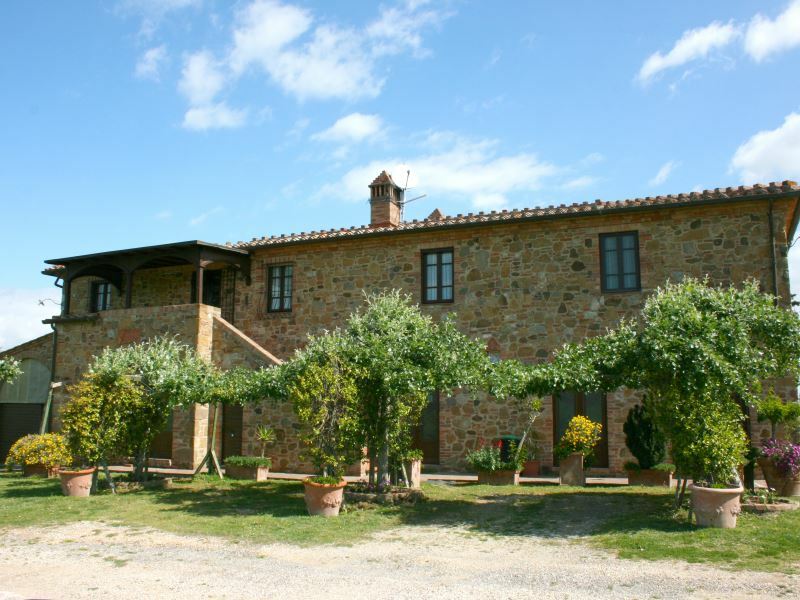 Gorgeous annexe with stunning views over the Val d’Orcia. Free wifi internet. Railway station at 18km offers links to Florence, Arezzo, Rome and other destinations. Rental prices from just Euro 798 per week. 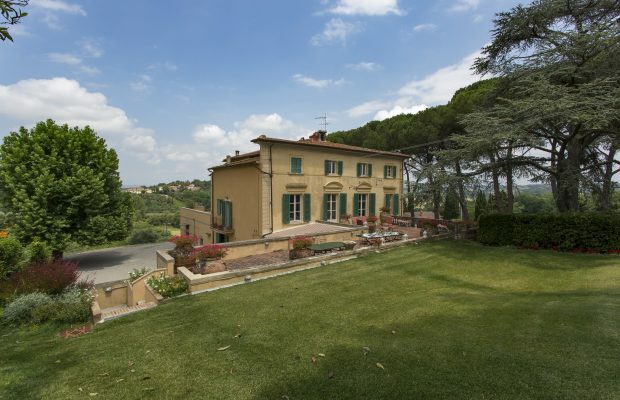 Villa Morandi, classy but affordable villa with beautiful gardens and terraces. Near Loro Ciuffenna, Tuscany. Excellent value for money. 7 bedrooms. Sleeps 14. Private pool. Just 500m from a restaurant with takeaway menu. Rental prices from Euro 693 to Euro 2527 per week. 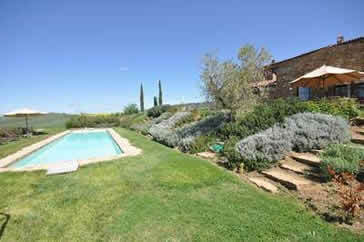 Villa Cappuccini, only 1 km (walkable) to Castiglion Fiorentino, Tuscany. 6 bedrooms. Sleeps 12 + 2. Private pool. Rental prices from Euro 1800 to Euro 3200 per week. 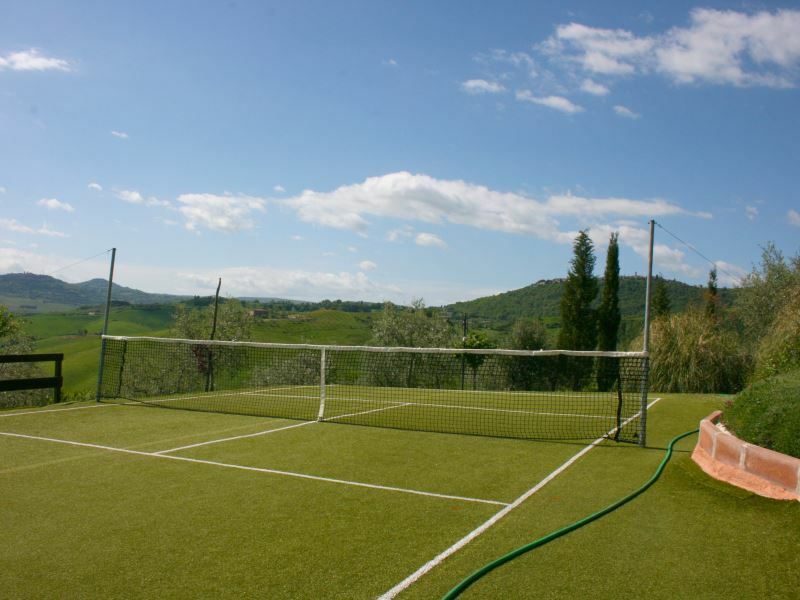 CASA BELLA Private villa with private tennis court, table tennis, fenced private pool. 7 bedrooms, 6 bathrooms. Sleeps 14. Outdoor jacuzzi. Near Torrita di Siena, Tuscany. Rental prices from Euro 1790 per week. Villa Iris, Corchiano, Lazio. 6 bedrooms. Sleeps 12 + 2. Private pool. Rental prices from Euro 1600 to Euro 2650 per week. Distance from the small village of Corchiano : 500m. Charming owners. Verde Incanto near Monte San Savino, Tuscany. 6 bedrooms. Sleeps 12 + 2. Private solar-heated pool. Rental prices from Euro 1680 to Euro 3130 per week. Casale Orcia, near Pienza, Tuscany. 6 bedrooms. Sleeps 14. Private pool. Rental prices from Euro 3000 to Euro 7800 per week. Villino Alba near Arezzo Tuscany. 7 bedrooms. Sleeps 13 + 1.Private pool + outdoor hydromassage bath. Rental prices from Euro 1120 to Euro 2380 per week. Villa Cerchi, near Rufina, Tuscany. 35km Florence. 7 bedrooms. Sleeps 14. 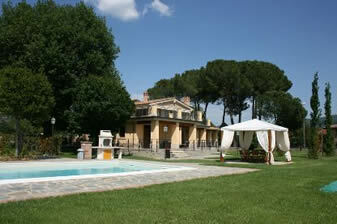 Rental prices from Euro 3015 to Euro 4020 per week.Private pool exclusive to Villa Cerchi clients. Barbecue area shared with 6 neighbouring apartments. 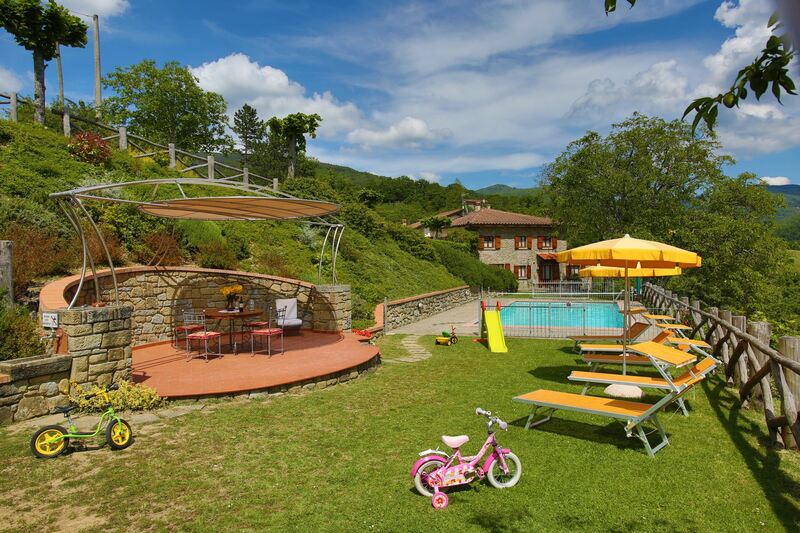 Check price, availability and book Villa Cerchi here. This is just a small selection. Search our brochures for more villas. Villas with pool in Italy to sleep 12 people. Villas with pool in Italy to sleep 13 people. Still can’t find what you’re looking for? Please don’t give up on us just yet !